Plastic has a valuable role to play in manufacturing, particularly medical plastics. It contributes to a variety of products that benefit from the material’s many positive properties. Let’s make sure the recent report on plastic fibres in global water supplies pushes us to think about how to address the disposal of plastic goods, before the situation deteriorates. According to an investigation by Orb Media, reported in the Guardian, 83% of global water samples were found to be contaminated with plastic fibres. Top of the contamination list was the US at 94% (sites tested included Trump Tower in New York and Congress buildings) with European countries such as UK, Germany and France showing the lowest levels of contamination. Don’t get too complacent if you happen to live in one of these nations – the level here was 72% and the Guardian reports that the average number of fibres found in each 500ml samples was 4.8 in the US and 1.9 in Europe. The health implications for this haven’t been discussed in detail but surely any amount of ingested plastic can’t be good for us. Some stories in the news have suggested that the plastic is so small it may be able to penetrate our organs. It’s not a pleasant thought. “There is some evidence that microplastics can cause harm [to organisms],” adding that in lab experiments, replacing 1% of the sediment in a worm tank with plastic had a negative effect on the worms' ability to store energy. This latest report does lead us to question the harm microplastic can cause – it contains and absorbs toxic chemicals that are released into the body. Thompson told Orb: “It became clear very early on that the plastic would release those chemicals and that actually, the conditions in the gut would facilitate really quite rapid release.” Thompson’s research has shown microplastics are found in a third of fish caught in the UK. Microplastics have also been shown to attract microbial pathogens and some may contain toxic or hormone-disrupting chemicals. While it’s not easy to find any hard and fast answers about the long term effects of ingesting even tiny amounts of plastic, I personally find their presence alarming and feel that we should all be taking a look at whether there’s anything we can do collectively as an industry to improve this situation. It’s a responsibility all plastics sectors should be thinking about. With clothing, tyre dust, tumble dryers, microbeads and the general fragmentation of plastic, being named as possible sources of contamination, it’s clear that finger-pointing can’t be aimed at one plastics industry alone. According to a recent report by a team of researchers from the University of California, Santa Barbara, the University of Georgia, and the Sea Education Association, more than 9 billion tonnes of plastic have been made since the 1950s. Apparently only 9% of this has ended up being recycled. That’s pretty shocking. But it doesn’t end there – it has been reported that only 14% of plastic packaging is recycled with 8m tons of it actually ending up in the sea. It’s undeniable that plastic is a great material. It has transformed the production and costs of a range of goods we take for granted. It offers versatility and flexibility in manufacturing processes. As far as medical plastics are concerned we see breakthroughs in materials year in, year out. Plastic offers many advantages to the healthcare market, not just via medical devices but also through innovative packaging, bacterial control and price of manufacture. We can’t suddenly decide to stop using it when it provides so many benefits to us all. What I find particularly disappointing is the fact that the medical plastics sector strives to improve the health and wellbeing of us all yet now could be potentially contributing to physical harm to the human body. Of course there are extensive moves within the sector to increase recycling and improve the way plastic interacts with the environment. PlasticsEurope, the European trade association, launched an industry-wide initiative to encourage the recycling of polystyrene a few months ago. Looking to support the European Union’s circular economy plan, the initiative will focus on chemical recycling, with the aim of converting post-consumer polystyrene waste into virgin polystyrene. 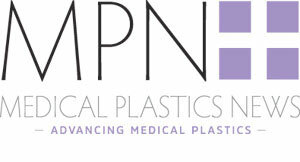 Last year MPN reported on a collaborative multi-hospital recycling project between the Healthcare Plastics Recycling Council (HPRC) and the Plastics Industry Association (PLASTICS) in Chicago. Plastics primarily from main operating rooms and surgery centres were collected and transported by waste haulers to material recovery facilities (MRFs) for processing, or transferred to specialised plastics recyclers. The project was a success in many areas, such as defining the relative quantities of material types and understanding the complexity of sorting the materials once collectively amassed. In the UK, RecoMed is a PVC take-back scheme being initially implemented at seven different NHS hospitals. The scheme involves the collection of used PVC medical devices including IV solution bags, nasal cannulas, oxygen tubes, anaesthetic masks and oxygen masks. With around 1500 hospitals in the UK, estimates put the total tonnage of PVC waste at over 2,000 tonnes per annum. Thanks to this scheme, VinylPlus (the voluntary sustainable development program of the EU PVC industry) has commissioned the British Plastics Federation and Axion Consulting to develop a collection scheme for PVC medical waste. RecoMed was the result – a scheme involving the collection of certain PVC hospital waste which is then transported to a recycler, where it is transformed into tree ties. These are just a couple of examples of the industry leading the way. We also have innovative material research such as that at the Center for Bioenergy Innovation in Oak Ridge, Tennessee which is developing biofuels and plant-based alternatives to petroleum-based plastics. There has to be an answer somewhere and the first action point should surely be an examination of the way we dispose of plastic products, As any industry we should be working harder to ensure that the benefits of the healthcare products we produce aren’t over-shadowed by the fact that we haven’t addressed adequate recycling schemes or had honest discussions about certain chemicals – what we should and shouldn’t be using in the manufacturing process – and also, that we simply haven’t made the consumer understand why they shouldn’t just throw their plastic goods away. Has the healthcare sector put in place robust recycling where it can? Can we honestly say that keeping rubbish to a bare minimum has been a priority? Plastic is fantastic - let’s work to make it stay that way.